The purpose of this event is to connect our students to our alumni through mentoring. 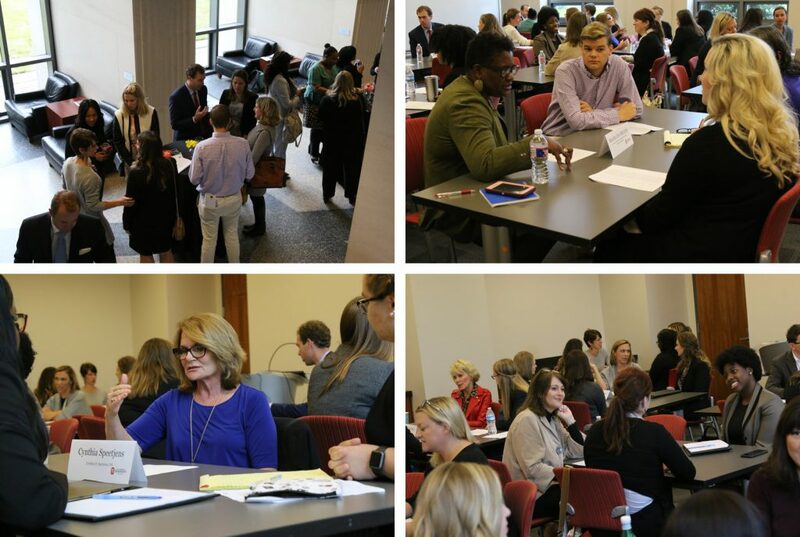 Our mentors discussed various subject matters including their areas of practice, work/life balance, what they look for in an associate/co-worker, and what impresses firms when they interview potential associates. The room was filled with positive energy as our students and alumni discussed a wide array of topics as well as answered questions from students. If you are interested in participating as a mentor, please contact: Carol Mockbee, ccmockbe@olemiss.edu.